In October 1986, a crowd gathered at the University of Michigan-Flint between what was the University Center courtyard and the Classroom Office Building (known then as “the CROB,” now French Hall) to participate in a milestone event for the campus. 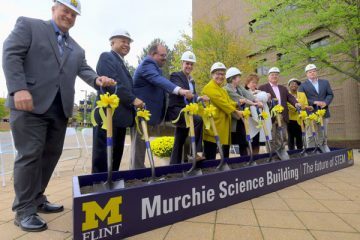 Thirty-two years later, over 100 guests again gathered to break new ground, this time on a $39 million expansion to the science building built three decades earlier. 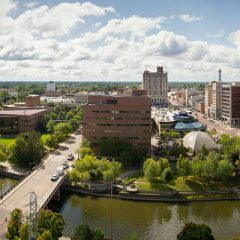 UM-Flint’s commitment to STEM has received widespread support. 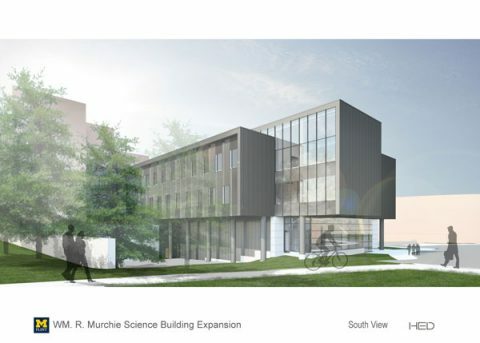 The State of Michigan provided a $29.25 million capital outlay appropriation for the expansion project, and the Charles Stewart Mott Foundation awarded the university an $11 million grant to support the campus’ continued growth of STEM studies. 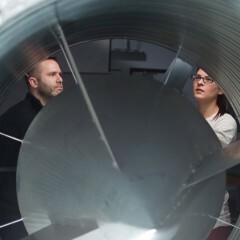 Students will benefit from many innovative design features showcased in new space. 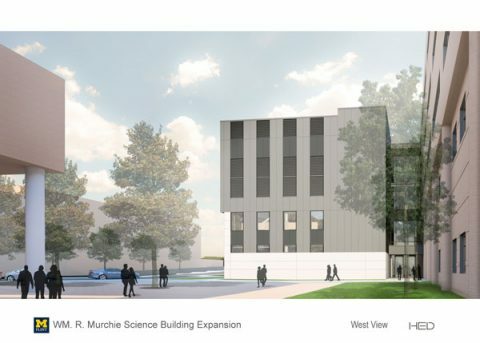 The Murchie Science Building expansion will provide an additional 65,000 square feet of space to campus in the way of labs and lab support, classrooms, and faculty and student areas. 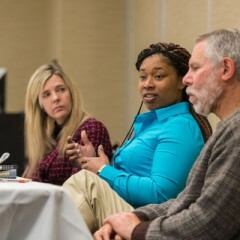 and multiple spaces to facilitate student/faculty interaction. Construction on the project is expected to be completed in July 2021.